The five dams forming the North Indus River Cascade that China has just promised to finance and build in Pakistan – including Pakistan administered Kashmir – has the potential to generate over 22,000 MW in an energy-starved country. But the dams will also stop the flow of silt which is the lifeline of agriculture downstream. 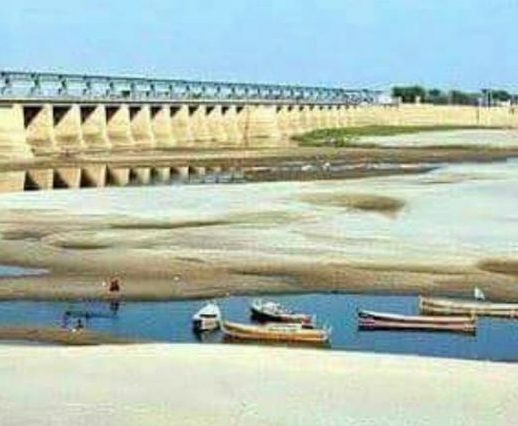 In non-monsoon months from October to June, they may also reduce the flow of water down the Indus to Pakistan’s Punjab and Sindh provinces. Climate change is making water flow along rivers more erratic – especially along rivers like the Indus, that flow down from the Himalayas. Pakistan’s entire water supply for agriculture, factories and homes is dependent on rivers in the Indus basin. Water availability is already below the 1,000 cubic metres per person per year level at which a country is described as water-scarce, according to the global norm followed by most UN agencies. China is providing Pakistan with USD 50 billion for the Indus Cascade. A Memorandum of Understanding (MoU) was signed to this effect during the recent Belt and Road Initiative (BRI) – previously known as One Belt, One Road (OBOR) – conference in Beijing. China’s National Energy Administration (NEA) will oversee the funding. China Three Gorges Corporation – which runs the world’s largest hydroelectricity project at the Three Gorges Dam – is the frontrunner to build the five dams that will form the cascade. The MoU was signed by Pakistan’s Water and Power Secretary Yousuf Naseem Khokhar and Chinese Ambassador to Pakistan Sun Weidong in the presence of Prime Minister Nawaz Sharif. This is in addition to the USD 57 billion China is providing to Pakistan for a series of infrastructure projects along the China-Pakistan Economic Corridor (CPEC), a part of BRI. The infrastructure projects include the building of coal-fired power stations and the port at Gwadar on the Arabian Sea, at the end of the corridor. The uppermost of the five dams is being planned at Bunji near Skardu in Pakistan administered Kashmir. The former princely state of Jammu & Kashmir is a disputed territory claimed in its entirety by both India and Pakistan, though both only control parts of it, with China also controlling some. The 7,100 MW Bunji Hydropower Project has been described by Pakistan’s Water and Power Development Authority (WAPDA) as a run-of-the-river (RoR) project. But the same promotional video (for the entire cascade) which provides this description also says this project will have a reservoir that will be spread along a 22-km stretch of the Indus and inundate a 12-km stretch of the road between Gilgit and Skardu – the two main towns of Gilgit-Baltistan. So, despite the description, this may not be an RoR project. The next dam in the cascade is the big one – Diamer-Basha – with a planned live storage of 6.4 million acre feet (MAF) of water and a hydropower generating potential of 4,500 MW. From Diamer-Basha, the projects run along the Karakoram Highway, which China built in the 1960s through Pakistan administered Kashmir despite strenuous objections from India. The reservoir that will form behind the Diamer-Basha dam will submerge 104 km of the Karakoram Highway and displace about 30,000 people, according to WAPDA. The Diamer-Basha dam is being promoted by WAPDA as a sediment trap and therefore good for downstream hydropower projects. But the same sediment – mainly silt – rejuvenates the soil downstream every year and has been the main reason why agriculture has been sustained in the Indus valley for millennia. Building the Diamer-Basha dam is estimated to cost USD 15 billion. For years, Pakistan has been seeking the money from multilateral funding agencies, to no avail. Experts at the World Bank and the Asian Development Bank have advised Pakistani planners to think of smaller dams instead. Now China has promised funding. Just downstream of Diamer-Basha is the third dam in the cascade – the 4,320 MW Dasu Hydropower Project. This will have a reservoir that will stretch upstream for 74 km along the Indus, all the way to the Diamer-Basha dam, according to WAPDA. It will also submerge 52 km of the Karakoram Highway. Some of the peripheral work for this project has started, and people have already been displaced, with WAPDA seeking contracts for resettlement and providing free transport to resettlement sites. And immediately downstream of that, WAPDA has planned the 2,200 MW Patan Hydropower Project, with a 35-km long reservoir that goes up to the Dasu dam. Once again, the fifth dam in the cascade is just a little downstream – the 4,000 MW Thakot Hydropower Project in which the plan is to divert the Indus waters through four headrace tunnels to generate electricity. The electricity that will potentially be generated by the five new projects forming the Indus Cascade adds up to a little over 22,000 MW. Officials in Pakistan’s Ministry of Water and Power have been telling the domestic media that experts from the Chinese NEA conducted a feasibility study of the entire cascade this February and were satisfied about the feasibility of the whole project. The officials say that now, after the signing of the MoU, the Chinese experts will conduct a more detailed study for three months to finalise both financing and execution of the projects. In 2015, China Three Gorges Corporation had said it wanted to be part of a financing consortium with a USD 50 billion fund to build hydroelectric power projects in Pakistan. The Indus Cascade will reduce water and food security in Pakistan instead. One proven effect of climate change is an intensification of the water cycle. In lay terms, it means fewer rainy or snowy days but more intense rainfall or snowfall in those days. Pakistan is already suffering the effects. For the first nine years in this century, the Indus failed to reach the sea. Then there was such a cloudburst in 2010 that a fifth of the country was flooded. The floods also brought down, and continue to bring down, huge sediment loads that reduce the working lives of dams. To build more large dams in this situation appears dangerously short-sighted. A side effect of the cascade project will be the need to rebuild large parts of the Karakoram Highway. Building a road in the mountains always has a strong negative effect on the environment and increases the risk of landslides manifold. India has already boycotted the BRI conference because many of the CPEC projects are in Kashmir. Addition of a project as big as the Indus Cascade to that list is likely to lead to more protests from India and to raise tension in the region.